Welcome to this beautiful 6 acre property with beautiful views in the country! Here, you can kick back and watch the lovely Kentucky sunsets from the front porch. This home has 3 bedrooms, 2 baths, and a 2 car attached garage. It also includes a very large yard that is partially fenced and a large utility room. The seller has made many improvements such as new windows throughout, new front and side exterior doors, new flooring in the kitchen, living room and utility room, and new paint throughout. The kitchen has also had a makeover with new paint on the solid wood cabinets and all new hardware. This property has great potential. 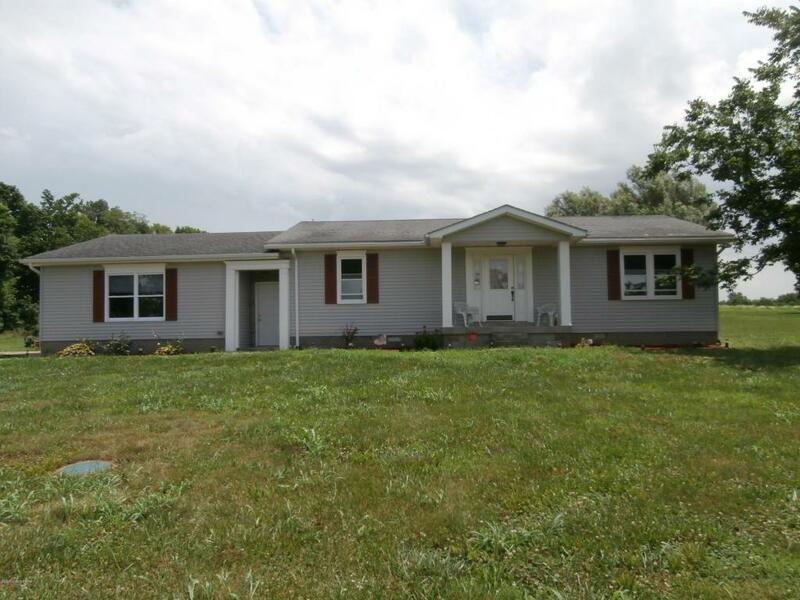 It is well located for country living and only 15 minutes from Shelbyville. Come see this beautiful property!